Bir Billing is an awesome location situated in Kangra Valley of Himachal Pradesh, surrounded by snow clad Dhauladhar Mountain Ranges and sandwiched in Kangra and Mandi Districts of Himachal Pradesh. 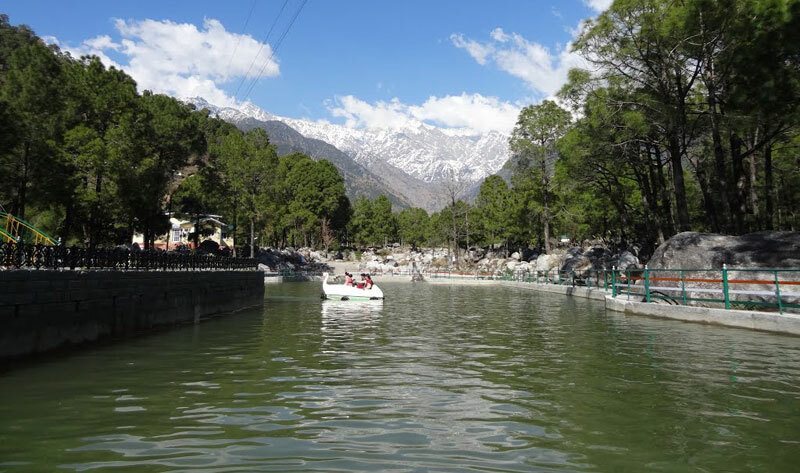 If you are coming to Bir-Billing via Kangra or Punjab, with ample time at hand you can also cover famous temples and ShaktiPeeths of Godess Durga namely Chintapurni Devi, Kangra Devi, Chamunda Devi, Jwala Ji and Naina Devi, a slight detour would also lead you to Dharamshala and Mcleodganj if you want to include that in your tour. Bir-Billing is world famous site for paragliding and host for many International Events and even a paragliding World Cup. It's considered as one of the best site in World for paragliding and definitely the best in India if you are a paragliding connoisseur or a first time flyer. Bir and Billing are two different locations 18 kilometers apart from each other. While Bir (1500 meters) is the landing site for paragliding, Billing (2400 Meters) is the take off point. The 900 meters jump from Billing to Bir with awesome 360 Degree views of snow clad mountains, vast valleys and distance towns of Palampur, Baijnath and Kangra while you are flying at such an altitude with nothing but a vast valley and deep abyss makes the experience worth doing atleast once in a lifetime. You can reach Bir-Billing via kangra route as mentioned above via Jwalaji, Nagrota, Palampur and Baijnath or you can opt for the Mandi route. From Mandi instead of heading straight to Manali Highway take a left turn towards Joginder Nagar and reach Bir after crossing Padhar and Joginder Nagar. As you arrive at Bir, a Big Green Sign Board will welcome you and indicate you to take a right towards Bir Paragliding site. 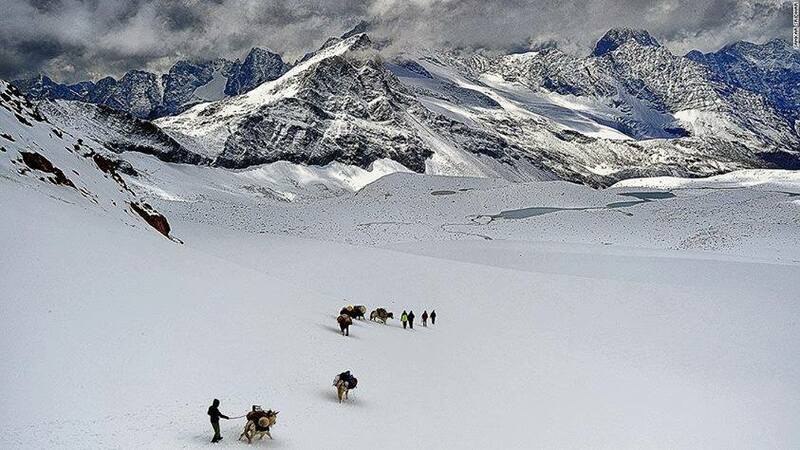 A few kilometers ahead and you may head straight to upper Bir from where you can ask directions for Billing or you may take a left much before that and head to Bir Tibetan Colony and landing site. At landing site you can eat out at numerous restaurants and cafes at the Bir Colony. Buy T-shirts and Buddhist Crafts. Try delicious Thukpa of Nyngma Monastery or try delicious pizza of Gliders Pizzeria and the humble owner of the pizzeria apart from her friendly greeting and chit chat serves you one of the best wood oven cooked pizza which you might have ever tasted. It feels like a trip to heaven and back. 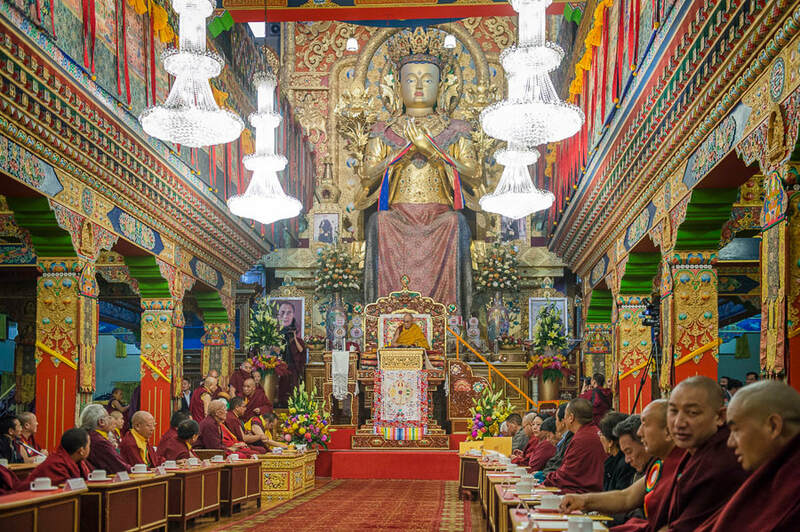 You can also visit Palpung Sherabling Monastery which is one of the most massive monastery in Himachal with two restaurants, a school, a cafe, and houses hundreds of perhaps thousands of monks. The building is massive and looks like an Ancient Chinese Palace even from Baijnath thus raising the curiosity of the on lookers. The Maitreya Buddha statue inside the monastery is simply outworldly. The lighting gives it an effect of being made a pure gold. The statue is huge and the intricate work and carvings are mesmerizing. Their are numerous small and medium statues in the room depicting various Buddhists Gods trying to describe you a story. Also there are miniature butter made statues of various mythological characters from Ancient Buddhism even the great sages and revolutionaries from the past. People have given them offerings of rice, money, chocolates, sweets and even wine. Ask for the counsellor inside the monastery and they will be helpful to explain you the entire history and story behind the formation of the monastery. 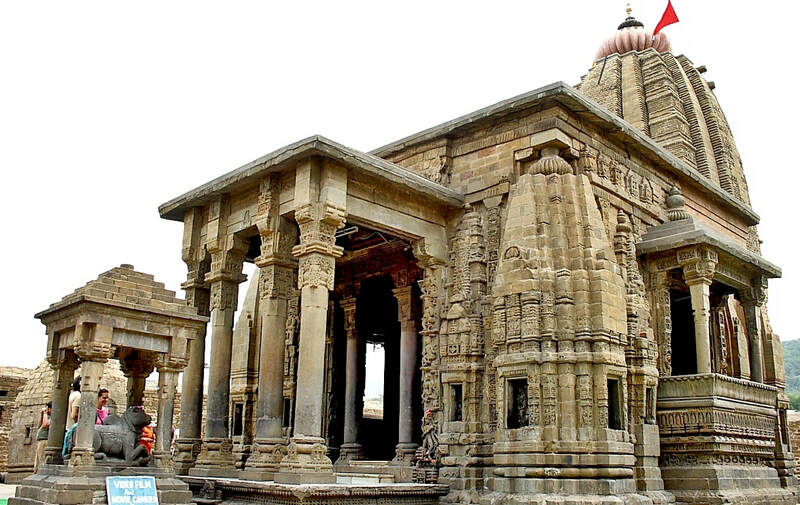 Once you have visited the Sherabling Monastery, you can head to Baijnath Temple which is a magnificent 1000 years old temple of Lord Shiva believed to be built by Pandavas at the time of Mahabharata some 5000 years ago which was again rebuild by a Hindu King in 1100 AD. The temple is said to be the place where the Demon Kinga Ravana Worshipped for Lord shiva Blessings and offered his ten heads as an offering to the Lord to please him. Every time the demon king would cut his head from the sword a new one would appear on his neck, It's when the 10th time the demon cut his head off that the Lord appeared him infront of him and gave him boons. The temple is surrounded by a huge garden and the stone work and carvings are equally interesting. If you are out to look for something special, this temple is a must visit. Also being an ancient temple it holds a big religious significance and remains heavily crowded at the time of Shivaratri. Your trip cannot be complete unless you also make a visit to the beautiful town of Palampur which is around 30 kilometers from Bir and is famous for it's 180 degree views of snow clad mountains and Tea Gardens. The best time to visit is from January till June if you want to enjoy views of the snowy mountains from Palampur. The tea gardens of Palampur are famous and the tea is known as Kangra Tea. It's golden in color and gives a distinctive look of whisky although is very energetic, tasty and refreshing. It's also a form of green tea and helps in activating metabolism and weight loss. In Palampur you can visit Andretta Art Gallery, Tea Gardens, Neugel River Bank, Jakhni Devi Temple, Shop around in Palampur Market and also visit the Dhauladhar National Park or Zoo at Gopalpur. Their are beautiful view points like Kanganwari, Bandla, Saurabh Van Vihar named after Captain Saurabh Kalia the famous Kargil Martyr. You can also visit Tashijong and Gia Monastery which are beautiful work of art. 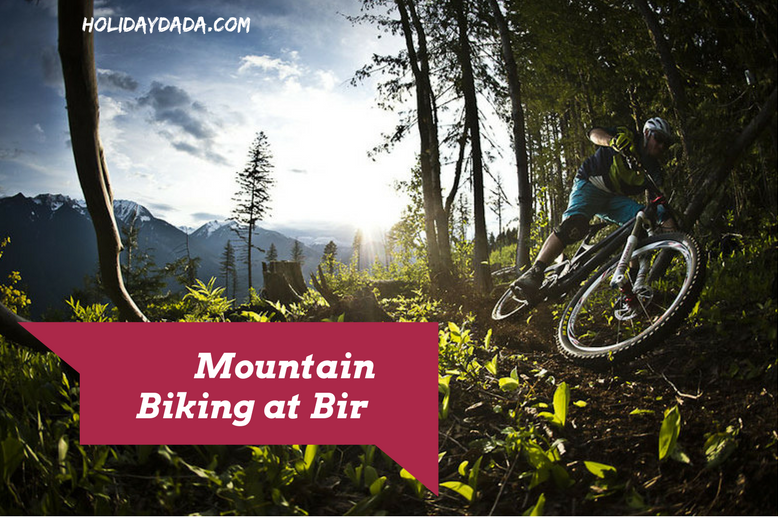 Bir is getting famous now for MTB and other adventure activities apart from paragliding, you would find numerous bikes (mountain bicycles) on rent at various shops in Bir-Billing. You can enjoy bike ride towards Sherabling and lower bhattu, or towards rajgundha and badagran and barot valleys. The easily availability of bikes in Bir as well as excellent quality of bikes and terrain makes it a must do activity once you reach Bir-Billing. The bikes are available for roughly Rs 500/- for a few hours to Rs 1000/- for a full day hire. You can also contact us for Adventure Activities in Bir Valley like Rock Climbing, Rappelling and River Crossing/Valley Crossing. Although not easily available in Bir, we can arrange it for you on an advance notice. We can provide you these adventure activities under guidance of trained mountaineering instructors and experts with world class imported equipment tested by international standards for safety and comfort. Their are several beautiful trails from Bir which you can choose. Their are short trails to Billing, Red Roof Temple, Dharmalaya, Dhati, Hanuman Garh Fort, Chaina Pass, Rajgundha, Badagran (Barot), Nohru Pass, Plachak and even the bigger ones like Thamsar and Bara Bhangal leading straight to Manali from Billing in 11 Days in the most adventurous trek in Himachal called Bada Bhangal Expedition. Their is even a trail which leads directly to Khajjiar- The Mini Switzerland of India near Dalhousi and Khajjiar after crossing Thamsar Pass thus making an adventurous yet highly scenic 8 days expedition. 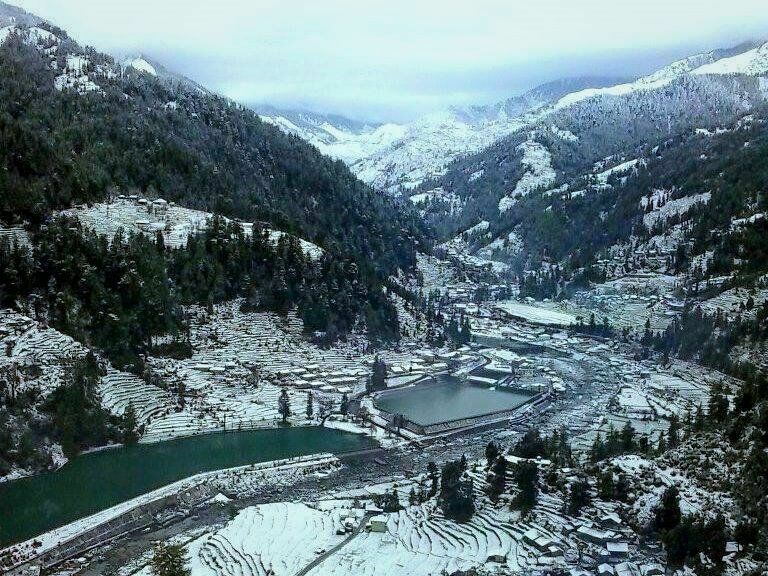 You can visit Barot Valley from Bir-Billing via trekking (4-5 hours from Billing) or via car/bus. Regular buses ply from Bir to Barot which is roughly at 50 kilometer distance from Bir via a motorable route. Barot Valley is a paradise which is surrounded by deodar trees, lush green mountains. A Beautiful River named UHL flows from the middle of the paradise and their are small shops and medium guest houses built up on both sides of the valley. On the left banks of the river their a huge water reservoir from the Barot Dam which is a spell bounding beauty and looks like a man made lake. Their use to be boat rides for tourists in the reservoir many years ago which is been closed now. There are several beautiful campsites in Barot Valley and several waterfalls to add to it's beauty. Currently Holidaydada Adventures is coming up with a luxury campsite in Barot Valley which will also be an adventure and leisure gateway for families and youngsters alike. 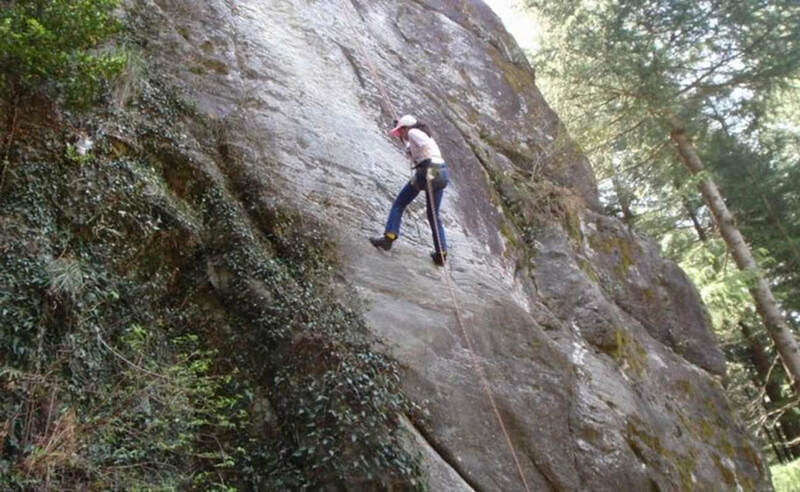 Barot is also famous for Trout Fishing and adventure activities like river crossing, waterfall rappeling, Rock Climbing and even paragliding and trekking. Bir and Billing have some awesome locations for camping. 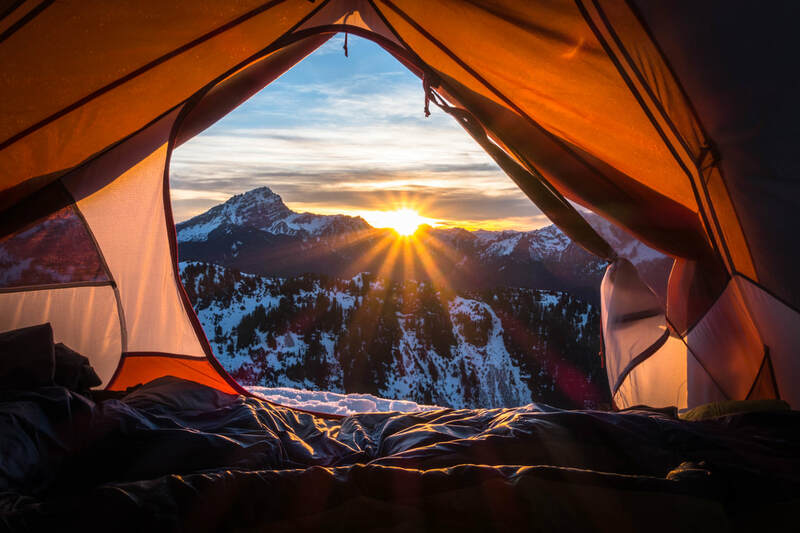 You can camp in seclusion under the open skies and vast endless views of mountains. The sky is clear, starlit and perfect and the weather is cold as well as pleasant depending on which time of the year you want to visit. You can enjoy some music, bonfire and Barbecue while enjoying your stay in some of the most amazing camps in Bir-Billing. Every day hundreds of people arrive at Bir-Billing to share a lovely time with their friends and loved ones to enjoy nature, adventure, find themselves and become one with nature. We provide numerous camping options as well as accommodation options in Bir-Billing. You can check some of them here. We have camps in Bir and camps in billing as well as guest houses to provide you a comfortable and pleasant stay. If you want to learn paragliding and fly like a bird on your own and cover vast distances on your para glider, currently there is no other place in India which is as good as Bir-Billing. The Paragliding courses in Bir-Billing are highly coveted and you are given a genuine certificate for flying as a paraglider. Enjoy flying over vast distances in Himalayas on your own, make awesome videos and live the life of a wild bird. 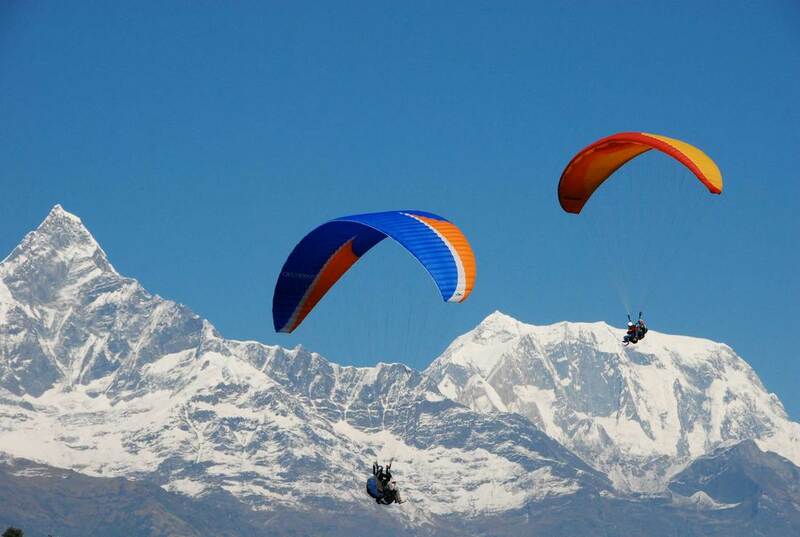 Their are three paragliding courses currently been offered in Bir-Billing with duration of 6 days each. Thus 18 days course in paragliding will allow you to fly from Billing and similar altitude paragliding destinations. Your quest to become an ultimate adventurist and a Himalayan Eagle ends here. 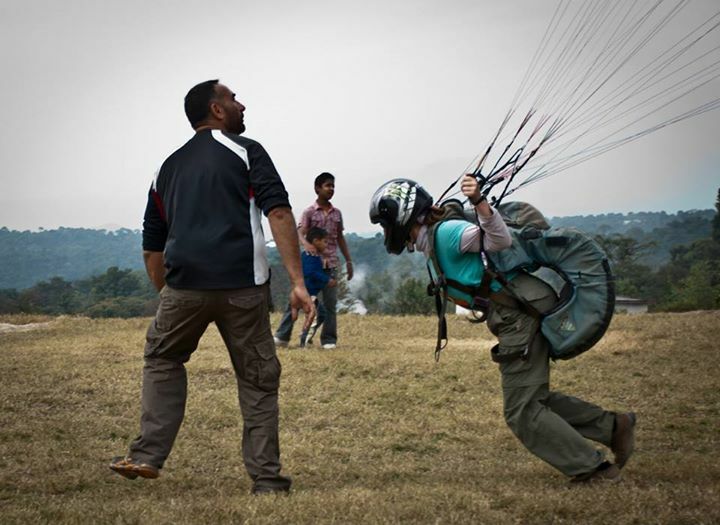 Contact us for paragliding courses in Bir-Billing, in mere 20,000 INR we will make an excellent para glider of you. 10.) 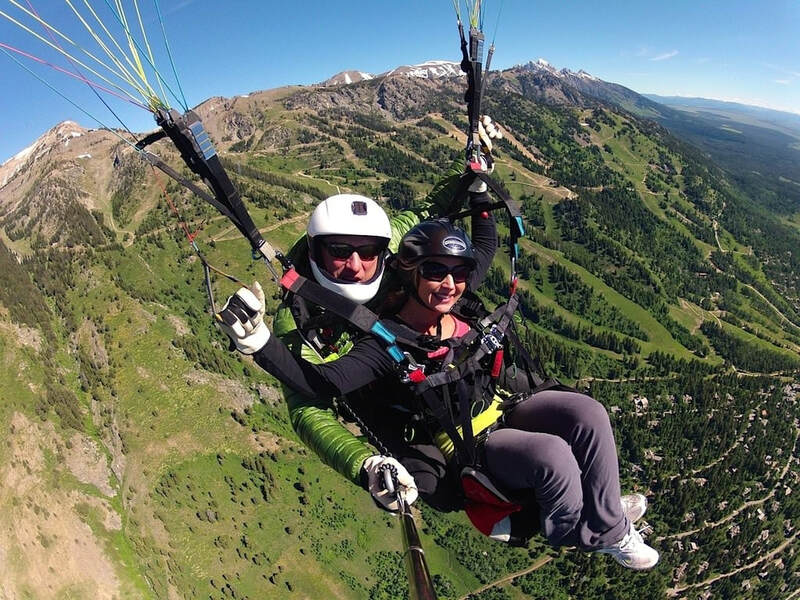 Make a professional Go-Pro Video of your paragliding experience and show it to your friends. In just Rs 500, you will get a professional go-pro video of your flight recorded by yourself through a selfi stick. Enjoy the best experience of flight in India, record it and show it to your friends. We will provide you trained and licensed pilots, professional and courteous staff, safe and enjoyable experience and a video recording of your flight to share it on social media with your friends and family. Contact us for paragliding in Bir-Billing as we offer you nominal charges and an ultimate flying experience. Here are our prices for 2018 republic day Bir-Billing Celebrations. How did you find this article? Please comment and we will post your comments online on this page.